If you’re car shopping in the East Hartford area, look no further than the new vehicle inventory at Manchester City Nissan. We have a variety of new Nissan models in stock, from the popular Nissan Altima to the family-friendly Nissan Rogue. Our sales team is ready to match you to the car that perfectly suits your Vernon driving needs, so stop by when you’re ready to find the right car for your lifestyle and budget! New vehicle pricing includes all offers and incentives. Tax, Title and Tags not included in vehicle prices shown and must be paid by the purchaser. While great effort is made to ensure the accuracy of the information on this site, errors do occur so please verify information with a customer service rep. This is easily done by calling us at (203) 916-1693 or by visiting us at the dealership. We also offer a variety of new Nissan incentives to sweeten the deal. When you’d like to visit us for a test drive and experience features like the Nissan Rogue interior in person, contact us to schedule an appointment at Manchester City Nissan! We look forward to helping you find the right Nissan for you. Don’t forget! 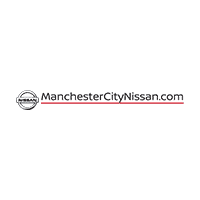 If you want to sell your current vehicle, take it to Manchester City Nissan–we’ll buy your car even if you don’t buy our car! Manchester City Nissan	41.8142625, -72.5078296.